2017 was a rich and rewarding year for Blitch Knevel Architects. We worked on many exciting projects to advance the goals and aspirations of our many clients. Since 1958, we have specialized in making our designs and buildings serve our clients in the best way possible. This year, we will continue to bring creativity and thoughtfulness to our projects and our community – bringing people together. Blitch Knevel’s hard work over the past few years has been recognized with awards and recognition. We’ve added talented professionals to our outstanding team that will extend our success into future projects and initiatives. 2018 will be an exciting year, and we look forward to continuing our tradition of “Listen – Design – Delight”. A quick update on a selection of ongoing and recently completed projects. Construction is underway on a new campus for The Good Shepherd School in Gentilly: opening in August and marking the move to a new two level facility to accommodate up to 400 students. The steel is up and construction is moving rapidly to further the dreams of Fr. Harry Thompson, SJ who founded the school in downtown New Orleans in 2001. 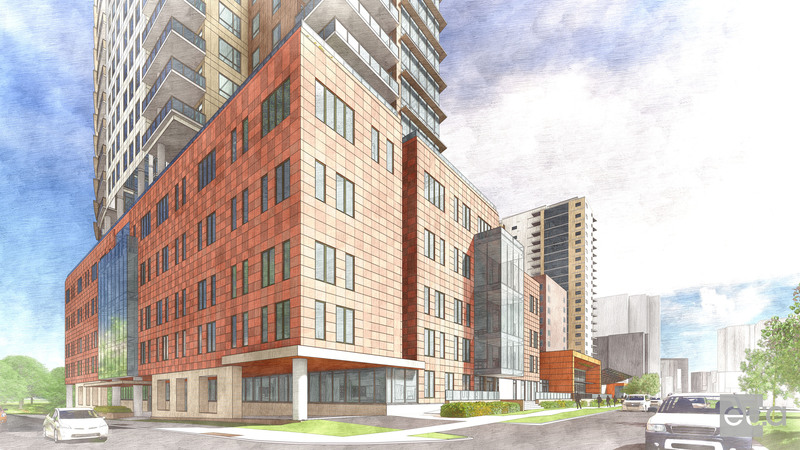 Final documents are being completed prior to a spring construction start for a 22 story major addition to the Saint John’s on the Lake senior living campus in Milwaukee. Blitch Knevel assisted Saint John’s in programming and master planning for the new campus in 2016 – and is now serving as the Senior Living Design Architect for the $130 million new facility in conjunction with Eppstein Uhen Architects of Milwaukee. Construction will take about 2 1/2 years and will include an expansion of the Town Center for Saint John’s, 4 levels of Healthcare neighborhoods, and 79 independent living apartments. 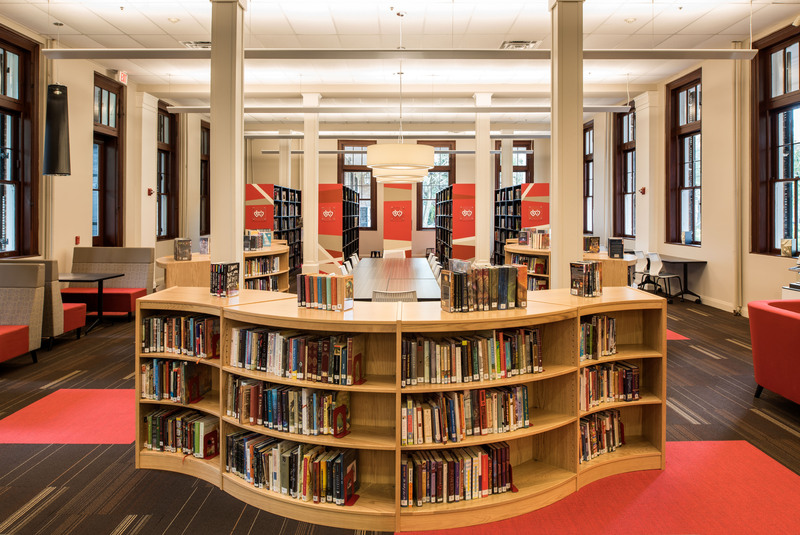 The renovations of the Assembly/Art Room and the Library and Innovation Lab at the Academy of the Sacred Heart have been completed in New Orleans. Construction was completed during the summer months of 2017 to minimize interruptions at the school and involved restoration and renovation of these major spaces of the historic main building at Sacred Heart. Blitch Knevel continues to assist with multiple projects at Memorial Hospital’s main Gulfport campus, with a major new generator building under construction to provide redundant emergency power for the 445 bed campus of almost 1.3 million square feet. 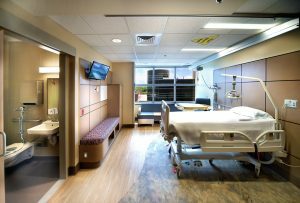 Blitch Knevel has been a partner with Memorial for many years and won the 2017 VISTA award with the Roy Anderson construction project team and the Hospital as the “Best Renovation” of a hospital in the entire United States from the American Hospital Association. Blitch Knevel Architects, an award winning architectural firm for 60 years, is pleased to announce several new hires that have joined the firm to further support the firm’s local, regional and national portfolio of projects. Project Architect/Manager | Ms. Fabacher has over 26 years of architectural project experience specializing in medical, academic and laboratory design. Her career experience includes project design and management, along with time spent in healthcare facilities management and development. A graduate of the University of Notre Dame with a degree of Bachelor of Architecture, Ms. Fabacher has managed her own architectural firm Mendoza Fabacher Architect, LLCS for the past five years. She now comes to Blitch Knevel Architects with a geographically diverse portfolio that includes projects in a variety of towns and cities in Southeast Louisiana, Texas and Mississippi. “I enjoy working on all types of healthcare related projects from small physician’s offices to large-scale healthcare facilities. Creating soothing spaces for patients and functional spaces for healthcare workers is always my goal. My career experience in facilities management also helps me to design spaces that fulfill the needs of clients who must maintain their facilities long after the front doors open,” said Ms. Fabacher. Intern Architect | Bahney joined the firm in June 2017. In this position, she works in all phases of design and production, where she will be responsible for drafting architectural designs, creating 3D mockups of architectural spaces, and corresponding with firm consultants while gaining project management experience. The focus of her work will be in healthcare and educational facility design. Bahney earned both a Bachelor and Masters of Architecture from Tulane University in May 2017. A native of Myerstown, PA, she now resides in the Bayou St. John neighborhood of New Orleans. “I’m excited to learn about the intricacies of healthcare and educational design from the talented professionals at Blitch Knevel Architects,” said Bahney. Intern Architect | Lovelace joined the firm in 2017. In this position, he works in all phases of design and production, where he will be responsible for drafting architectural designs, meeting with clients alongside principals, and corresponding with firm consultants while gaining project management experience. The focus of his work will be in healthcare and educational facility design. Lovelace received a Bachelor of Architecture from Louisiana State University in May of 2017. Originally from Arlington, Virginia, Kenneth now resides in New Orleans’ beautiful Uptown neighborhood which continues to inspire him every day. In his free time, he enjoys supporting his Alma Mater in any way he can: from athletics to academics. Intern Architect | Allbritton joined the firm in October, 2017. In this position, he works in all phases of design and production, where he will be responsible for drafting architectural designs, integration of appropriate material selections and detailing based on project budget/time/quality goals, optimization and standardization of design and construction documents, and corresponding with firm consultants while gaining project management experience. The focus of his work will be in healthcare and educational facility design. Allbritton earned both a Bachelor of Architecture in 2011 and a Masters of Architecture in 2012, from the University of Louisiana at Lafayette. A native of Shreveport, LA, he now resides in Mandeville, LA. Marketing Assistant | Nicholas St. Amant has been with the firm over several years lending a helping hand. This summer, he started a new position as a Marketing Assistant, where he is responsible for maintaining our online presence, developing robust design documents and proposals, and assisting with all other marketing efforts from event planning to client acquisition. Nicholas received a Bachelor of Arts in Film from the University of New Orleans in May of 2017 and is currently pursuing an MBA. Growing up in Mandeville, Nicholas now splits his time in Lacombe and the Mid-City neighborhood of New Orleans. In his free time, Nicholas enjoys working on his golf game, watching sports, spending time with friends, and exploring the various wine and cocktail bars in the city.